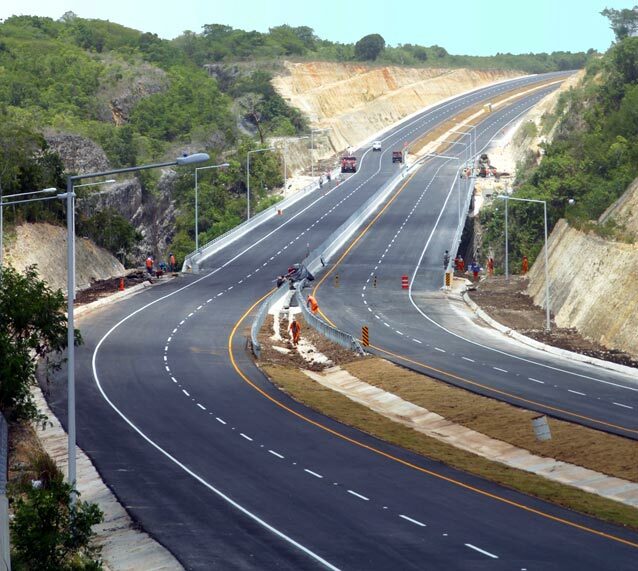 Santo Domingo.- Dominican Republic ranks 56 among 137 countries on the quality of streets, avenues and highways. In Latin America, the country is below Ecuador, Nicaragua, Mexico, Panama and Chile, but above El Salvador, Honduras, Uruguay, Argentina, Brazil, Guatemala, Colombia, Peru, Venezuela, Costa Rica, Paraguay and Haiti. The World Economic Forum study polled 14,000 business and other leaders on the quality of the roads in their countries, and according to a 1-to-7 scoring, where 1 corresponds to roads in extremely poor conditions, and 7 for roads in extremely good condition, gave the country a rating of 4.3. Globally the top 5 places went to the United Arab Emirates, Singapore, Switzerland, Hong Kong and the Netherlands, followed by Japan, France, Portugal, Austria and the United States.